Conceit & Concealment is now available! Conceit & Concealment is here! I can’t remember the last time I was this excited about a release. Like all my books, it’s primarily a story of Elizabeth and Darcy falling in love despite the obstacles, but the background is an alternate history where Napoleon conquered England in 1805 (and yes, that almost did happen!). Conceit and Concealment is capital U unique as no other JAFF novel has been before it, and it will take a great deal for any other to surpass it in the combination of interest and quality. The original plot line and fascinating premise kept me spellbound, yet D&E’s characters were tightly matched to Austen’s. Bravo! It’s amazing! One of my all-time favorite Austen variations…And I think I’ve read over 300 now. 5+ stars – Wildly unique premise yet totally believable, excellent research, engaging story and characters, flawless editing, attractive and intriguing cover, perfect length, good Regency prose, memorable events, and much, much, more! There are lots of excerpts to whet your appetite. Links to the first six chapters: Chapter 1, Chapter 2, Chapter 3, Chapter 4, Chapter 5, Chapter 6. 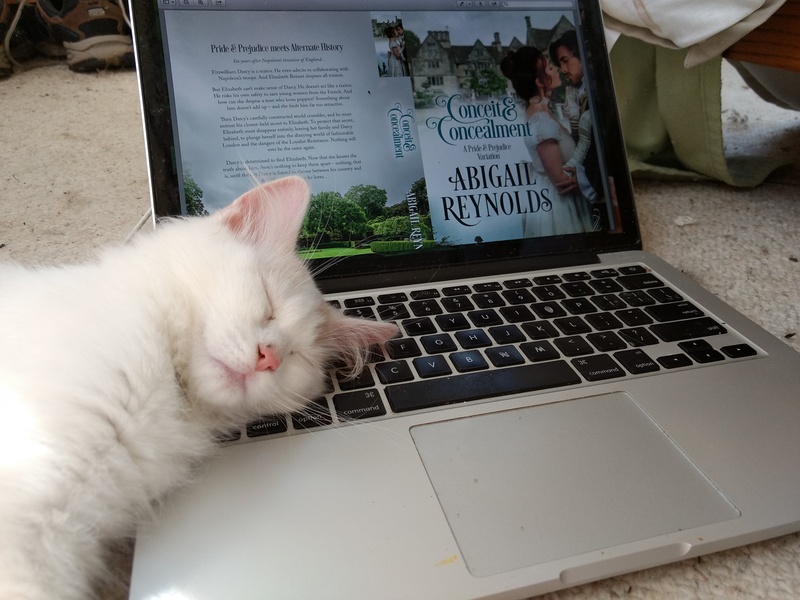 There’s also a seventh excerpt at Austen Variations for those who have been chomping at the bit for more – but it contains big spoilers if you haven’t read the earlier chapters. I hope you’ll try the excerpts, especially if you’re dubious about alternate history with Jane Austen’s characters. You’ll be astonished by how well it works!